It is official, the first edition of the Email Marketing Software Buyer’s Guide is now released. The report, written by an all-star team of 4 International marketing technology experts, is the most comprehensive report on email and marketing automation software to date. The guide has an analysis of capabilities (services / product features) and vendor profiles; to help marketers evaluate and pick the right-fit Email Marketing Software or Marketing automation solution through our buyer’s guide. After collecting the data on features and services of 111 email marketing and Marketing automation solutions, it became apparent that the researchers were also the first to meaningfully show the state of the vendor market and include industry statistics. Intended for brands looking to purchase email and automation software, now there is a lot of interest from industry analysts and agencies too. Nothing beats a personal guidance in a selection process and every step you can speed up, make easier and leads to a better decision is a win. You can’t look at others if you want to make something new, still industry insiders might be wondering what is different about this guide compared to others. It is simple: Transparent, affordable and based on what professionals want. Objective: definitely not pay-to-play; all relevant vendors are invited personally and no donation required to participate. 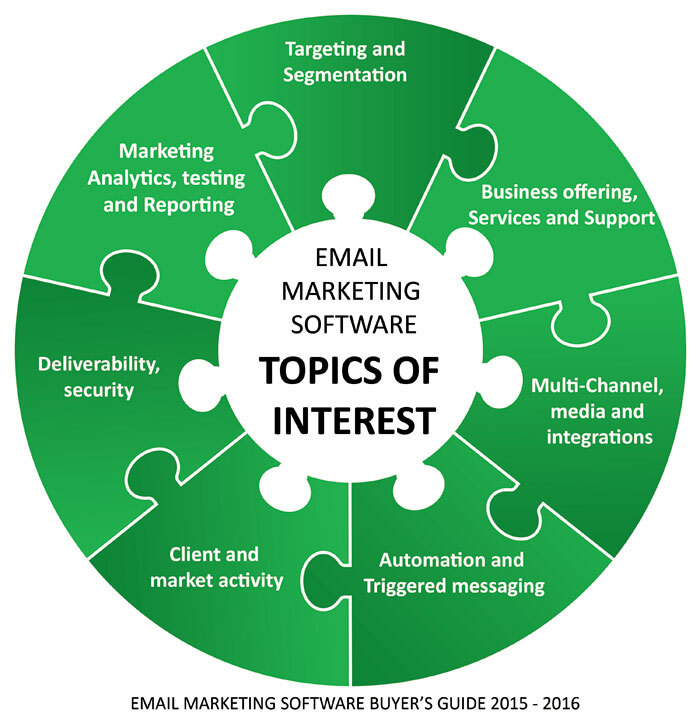 The guide aims to be the ideal starting point for selecting Email Marketing or Marketing Automation software vendors. It has 400 datapoints per vendor and covers the 14 most important topics for selections. 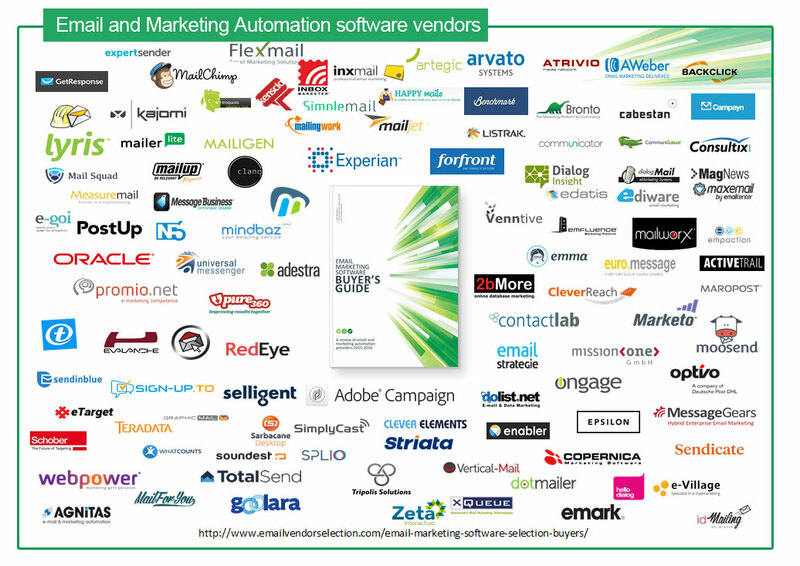 You can order the guide on the email and marketing automation software buyers guide page. More information? please send an email with your contact details to: jvrijn@emailmonday.com or use the form below. The guide is composed by four international experts that guide ESP and Marketing automation selections themselves. Drawing on their practical first-hand experience in the field. Bruno Florence, Jordie van Rijn, Gabriele Braun and Torsten Schwarz. Together with secondary team of multi-vendor agency, industry consultants and end-users who reviewed the analysis. More information about the guide can be found on the The Email Marketing Software Buyer’s Guide page.